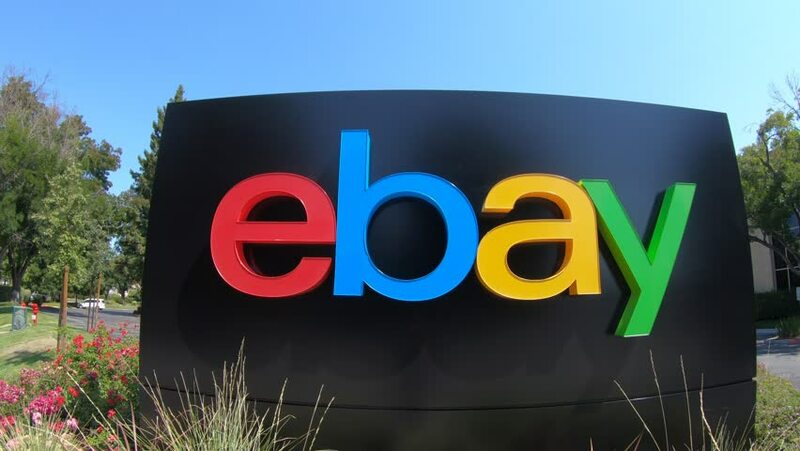 San Jose, California, USA - August 12, 2018: closeup of eBay sign at eBay's headquarters in San Jose, Silicon Valley, California. eBay Inc. is a multinational corporation, a pioneer in e-commerce. hd00:16SAN JOSE, CALIFORNIA/USA - OCTOBER 23, 2017: Ebay headquarters and logo, Silicon Valley, close up. eBay was founded by Pierre Omidyar in 1995.
hd00:13SAN JOSE, CALIFORNIA/USA - OCTOBER 23, 2017: Ebay headquarters and logo, Silicon Valley, close up. eBay was founded by Pierre Omidyar in 1995.